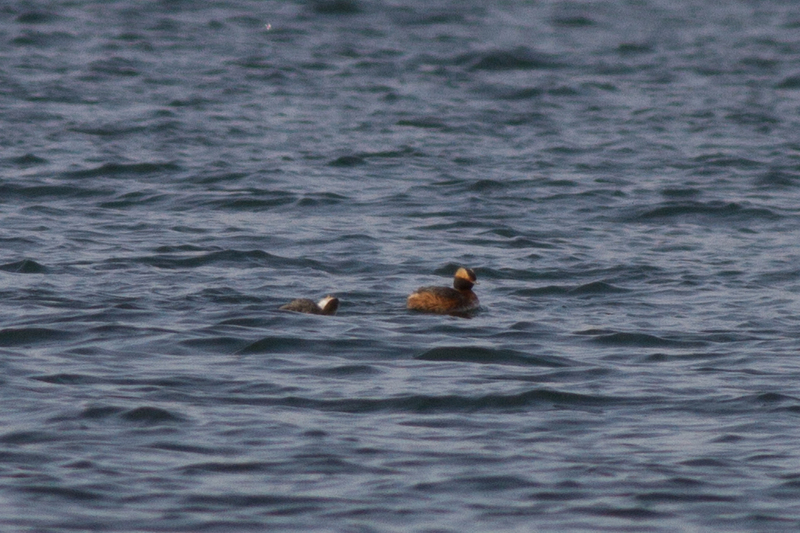 Less common in the area than the Pied-billed Grebe. 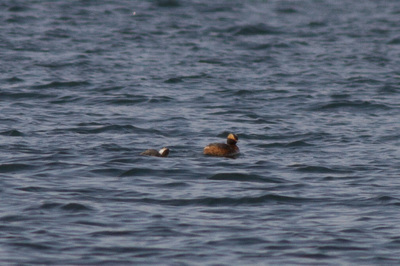 The Horned Grebe is usually seen during early spring, or late fall to winter. Again look for this bird on any of the numerous lakes, or openings in the rivers around, as well as the Water Treatment Plants in Homer and at Duck Lake. 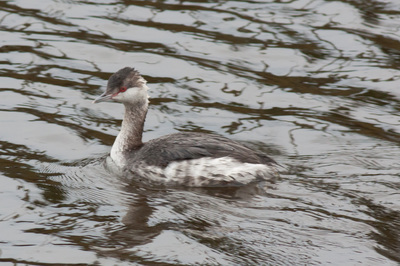 During the Fall-Winter timeframe these birds should be looked at closely for a potential Eared Grebe (a County first if spotted). 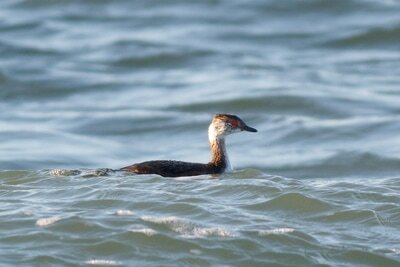 The plumage is very similar. It would be a great find for the county.